In today’s online-centric environment, it’s not uncommon to see people upload videos of themselves engaging in reckless behavior. Sometimes, that footage can come back to haunt them. That’s certainly the case for 22-year-old North Carolina resident William Jefferson. After all, police arrested Jefferson after he uploaded a video of himself racing 198 mph down the highway in his Dodge Challenger Hellcat. The YouTube video in question, which has now been removed from the site, shows Jefferson accelerate from 70 mph to 198 mph on US-1 just outside of Raleigh. Jefferson is cheered on by some of his buddies, who were recording the racing Hellcat from the side of the road. Later in the video, Jefferson continues to speed down separate rows, and even performs donuts in a parking lot. An anonymous source alerted the North Carolina State Highway Patrol to the video. Since the video served as self-incriminating evidence for Jefferson, police arrested him on August 7. Jefferson was charged with “being in a prearranged speed competition, speeding and reckless driving.” Prior to this incident, Jefferson reportedly had a clean record, with no motor violations whatsoever. Like so many other automotive enthusiasts, Jefferson was likely drawn to the 707-horsepower performance of the Dodge Challenger Hellcat. 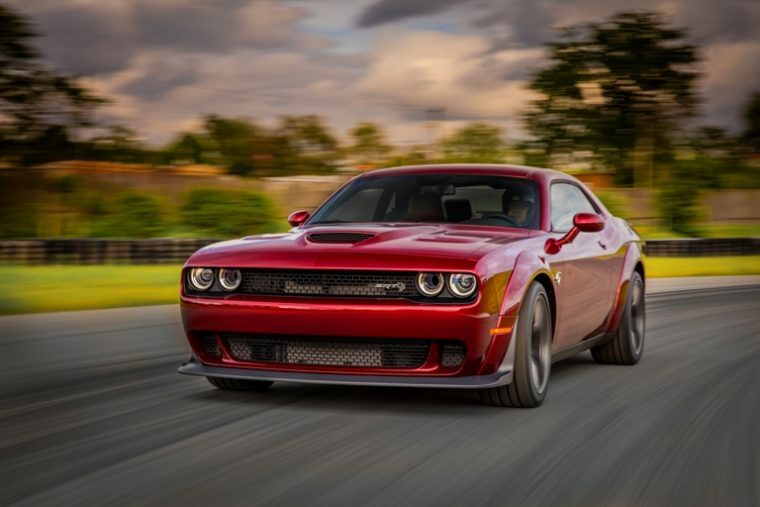 Still, if he wanted to test the limits of the Hellcat, he probably should have taken it to a local track, and he definitely should have thought twice about recording himself breaking the law.